Kayaking in Dorset offers us the opportunity to tour stunning harbours and explore the picturesque the Stour or Frome rivers. On this trip you’ll undertake a journey where there will be many opportunities for testing your kayaking skills and receive coaching hints and tips to improve your paddling. Most days are based around the South West Dorset area (Poole/Christchurch area), your coach will be in touch the week beforehand with a more accurate starting location when they have a better idea on the weather for the day. We do recommend that you have some experience (2.5 hour kayaking trip or a discover touring day) as a full day can be a lot of activity for the complete beginner. If you are very confident and comfortable in canoes but with to discuss the suitability of these days, please get in touch to discuss the suitability of these days for you. You’ll receive a day of expert coaching and guidance. We supply all paddling equipment you’ll need for a great Kayaking day in Dorset. 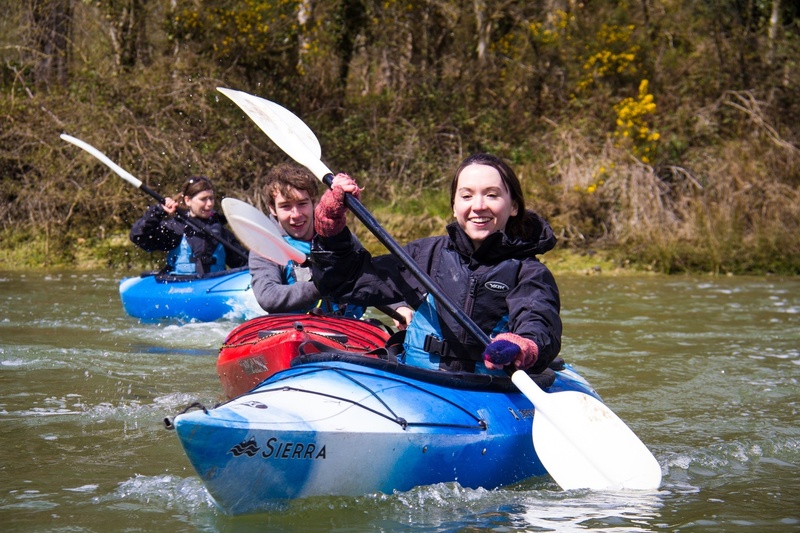 On the touring day there will be chances for; kayak technique, practice & testing skills in moderate waters including tidal/white water flows or wind, exploring remote areas and plenty more!